Why are regular dental check ups important? Why are regular dental check-ups important? Often times people wait until they have pain or discomfort to go to the dentist, and then they find out they have a much bigger problem that could have been caught earlier. Most routine dental exams are quick and easy- dentists want you to get on with your day as well. Keep your teeth and gums healthy. 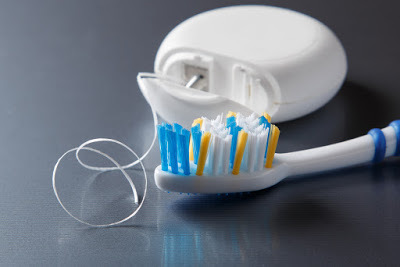 Brushing and flossing is essential to keeping your mouth healthy, but dentists will deep clean your mouth which in turn will keep your gums and teeth healthy as well. Can early detect oral cancer. While oral cancer might not be one of the most common cancers, there are definitely cases of this and your dentist is trained to recognize and identify symptoms and what signs to look for. Clean Plaque off teeth. Your dentist can get off plaque and tartar that you can’t remove from brushing. By having clean teeth, your breath can also be more fresh. Check for cavities. Cavities can be in your teeth even if you have no pain. A dentist can check your teeth before cavities start to fully develop and cause you any pain or discomfort. Check for tooth decay. Sometimes you are able to tell if your teeth are starting to decay because of pain and they can become discolored. Other times you can have no symptoms and will not know that it is happening. A dentist will be able to check for signs you wouldn’t notice on your own and can help preserve the health of your teeth. Use your dental benefits. Most employers have dental insurance as part of their health insurance benefits. if you are paying to have dental benefits, you should take advantage of them. Keep your whole body healthy. Studies have shown that if you have a healthy mouth you will have a healthy body. There are many excuses you can come up with for skipping out on your regular dental check ups, but keeping your body and mouth healthy have many health benefits. If you want to schedule a consultation or an appointment with our team, contact us on our website or give us a call at 617-268-5638.